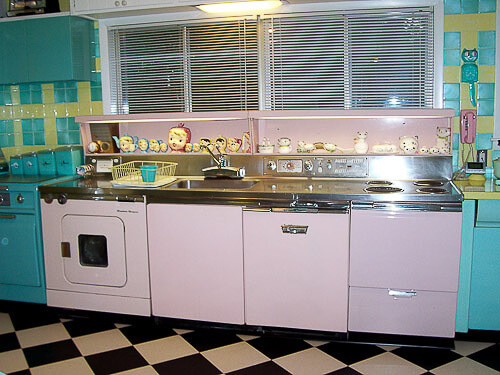 After our recent article about Chris’ kitchen, which spotlighted his restored GE Wonder Kitchen, I decided to pursue some true academic research into this wonderful design from mid century America. 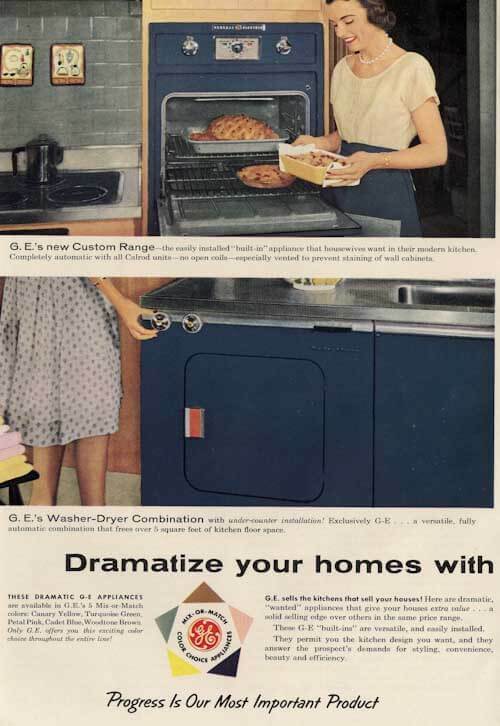 GE Wonder Kitchens were, “An internally plumbed and wired G-E ‘Kitchen Center’ combining an automatic dishwaher, range, Dispoall-equipped sink, and a washer dryer. All mounted under one stainless steel counter.” The basic unit was 9.5 feet long, I believe. 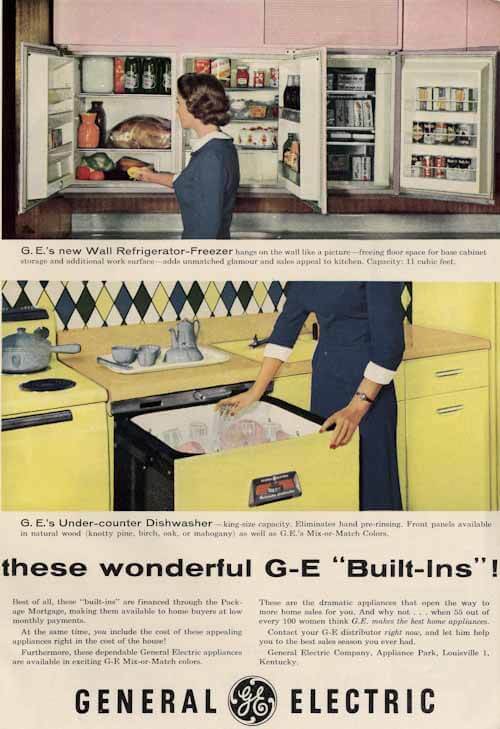 After I found the 1955 ad online, I then went into my stash of vintage marketing materials, and super quick, located several ads for GE’s kitchen appliances from 1955. GE must really have been making a big push this particular year. 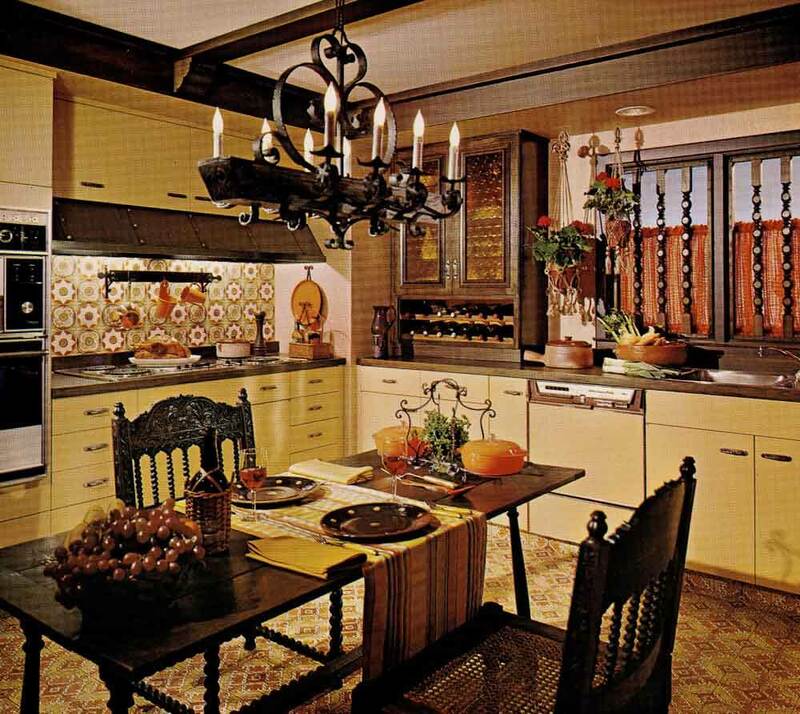 In addition to spotlighting the Wonder Kitchen, they also were promoting other built-ins including their now-famous refrigerator that looks like a wall cabinet. 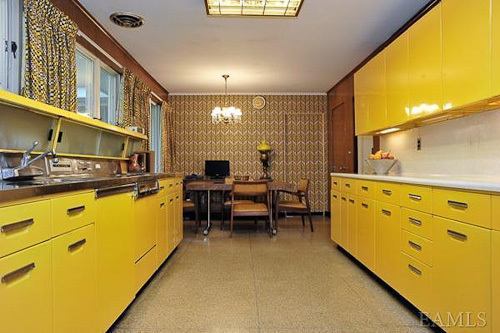 The built-ins that were part of the Wonder Kitchen also could be purchased separately. 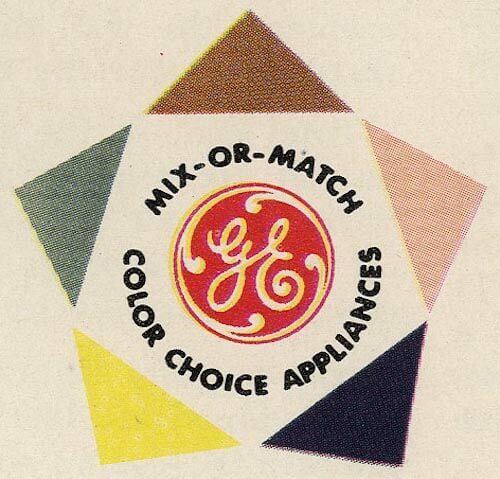 Also pretty groovy: See the GE 1955 color palette — Canary Yellow, Turquoise Green, Petal Pink, Cadet Blue and Woodtone Brown. Note — they are promoting to “mix and match” these colors. Indeed, we occasionally see two-tone kitchens in the wild. More so in ads, though. Methinks that most women were pretty conservative about getting too trendy with their purchases of this big ticket items. … and, Cadet Blue — golly, I’ve never heard of that one before! Must be as rare to see today as Frigidaire’s short-lived 1960s Poppy Red. 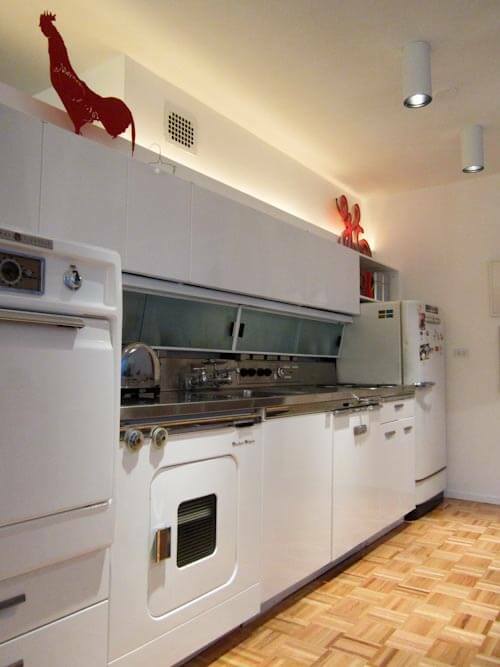 Above, a GE Wonder Kitchen in the famous 1960 “Scarsdale time capsule house” that we showed here a few years ago. I am thinking: The Wonder Kitchen was high-end. In a comment added to the story about Chris’ kitchen, reader Lori reminded us that she also has a GE Wonder Kitchen. And — she has a husband who is a professional — he rewired it, and she is using this daily! Hi There! Love the kitchen remodel. 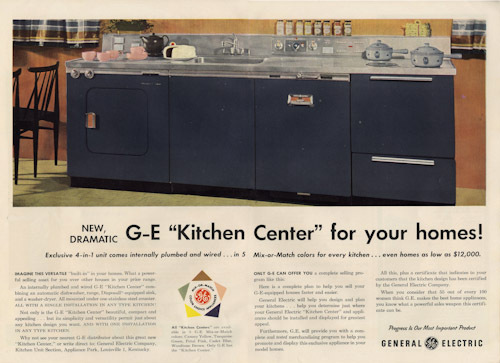 And the fact that another one of these rare GE kitchen centers has been saved. I was fortunate to pick up one of these kitchen centers about six years ago on EBAY. MIne’s in PINK and it’s still has the original paint. Pam was so kind to feature my entire kitchen on the site here last year titled Lori’s Whole Lotta Lovin’ Fun kitchen. 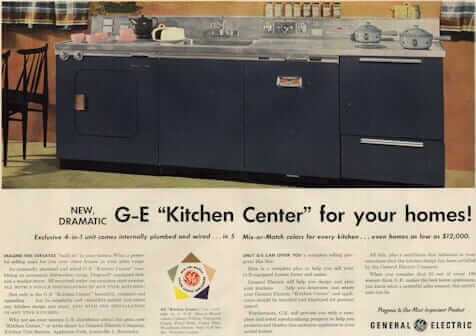 The date on my GE KITCHEN CENTER is Oct. 1956. I have the combo washer/dryer, dishwasher, stove and cleaner container compartment. My husband is an electrical engineer so he rewired the entire center and brought it up to code so that I could use it. I have the sliding doors for my center but when I put them on I couldn’t see my vintage figurine display so I opted to leave them off. 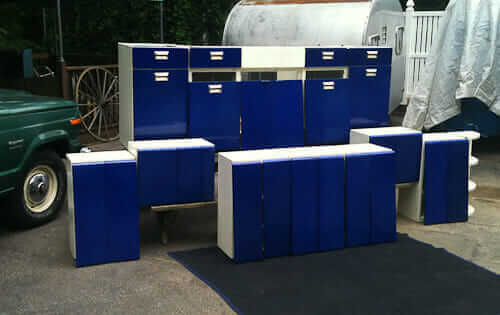 Also I have in storage the matching stackable ovens. I have an original 1957 GE CALENDAR and the month of JULY features the GE KITCHEN CENTER. 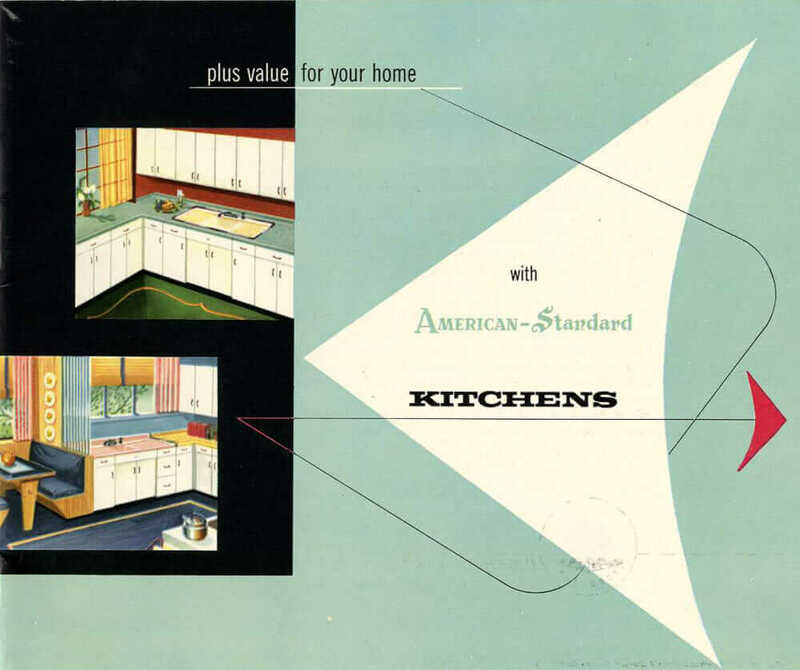 The bottom of the page reads: “GENERAL ELECTRIC KITCHEN CENTER. New, Deluxe Package Kitchen. Available in five, beautiful Mix or Match colors. Four time saving, work saving appliances, range, dishwasher, Disposall (copyrighted), and combination washer/dryer all under a seamless, long-lasting stainless steel counter. 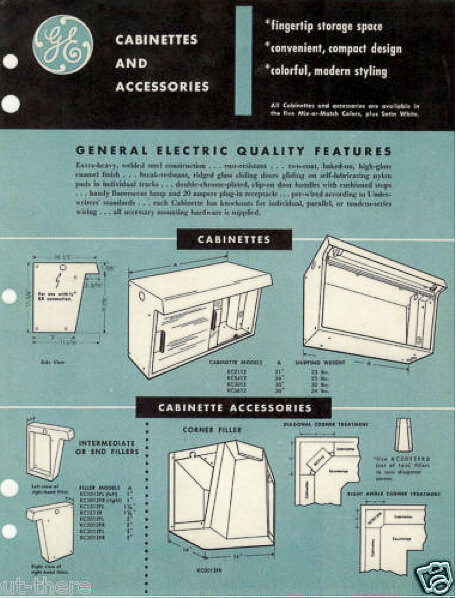 Many deluxe features – cabinettes, fluorescent lights, retractable cord center, custom radio, and cleaner container compartment – gives you more glamour…more utility…more beauty.” When I was looking for my GE KITCHEN CENTER I found some manuals for 1955, 1956 and 1957 so I’m not sure if those were the only years but I’m pretty sure that the first centers were either 1954 or 1955. And I know they didn’t have a long production run. They were designed to be used in a small space giving you all the appliances you need at your finger tips. So I’m thrilled to see another GE KITCHEN CENTER being reclaimed and displayed so beautifully! GREAT JOB!! I am not sure when Cabinettes were added to the mix. The GE Wonder Kitchen: pretty cool. Now you know. Wow! I’ll email you for photos!